When this CD was released in 1996, like the previous year's Acetates, it amazed listeners with its exceptional sound, which still stands up today. One fan site said: "Clear stereo mix with no audible tape hiss. 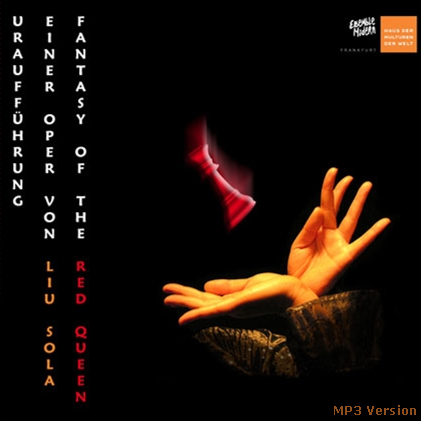 All sources used on this disc are impeccable!" 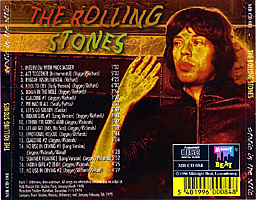 The CD opens with an undated interview with Mick Jagger regarding bootlegs. Jagger says: "I like bootlegs. There ought to be more bootleg records... because I don't like capitalist record companies... You shouldn't pay very much for bootleg records, that's the point. You should only pay half the price because no one is being paid." 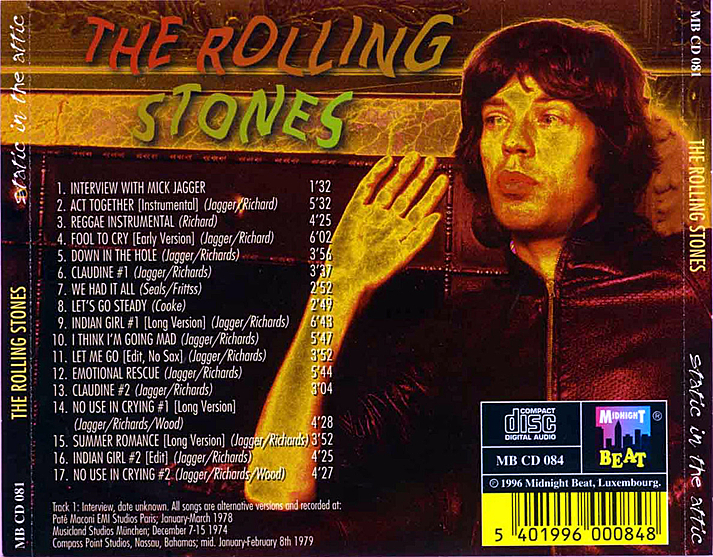 The clip ends off with Jagger saying: "Keep the price of bootleg records down." According to Anthony J. Rzepela (http://faqs.org/faqs/music/rollingstones-faq/part2/), the interview was from Europe 1970. Rzepela also agreed on the sound quality. He noted: "Great quality outtakes, mostly from Emotional Rescue (1980) though some are earlier. Some are previously unheard and the others are probably in best ever quality." At the time of the CD's release, fans must have been happy to find a good quality version of Claudine. Preceeding later celebrity killers such as OJ Simpson and Robert Blake, singer-actress Claudine Longet (the former wife of crooner Andy Williams) had killed her boyfriend but she was only sentenced to 30 days in jail. Some say she got off easy thanks to a high-powered defence team. The song carried these lines: "Shot him once right in the chest,shot him twice in the head - Accidents will happen... Acidents will happen, won't they, Claudine?" The song was supposed to be included on Emotional Rescue but was taken off at the last minute. The song has yet to be officially released. 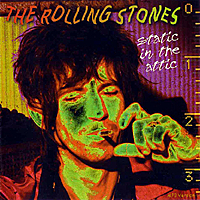 In an interview, Jagger explained why the band compromised and cut the track. "I don't mind being sued," Jagger said, "but I don't want the album to be withdrawn [after] it goes out." Click on the link to order The Rolling Stones ' Emotional Rescue.